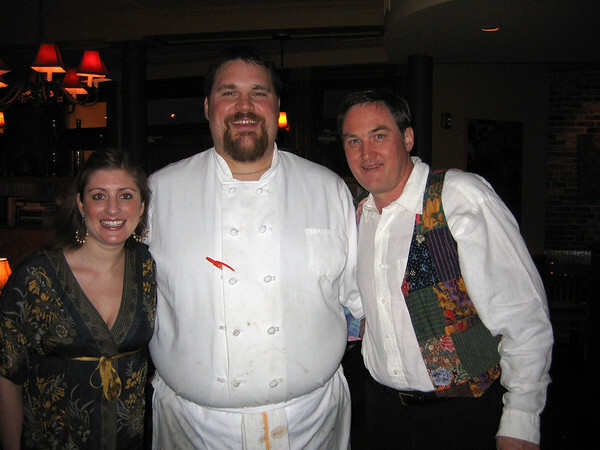 Jen Waitkus, head chef Bill Fogarty, and Mark McDonough of Alchemy Bistro hosted a benefit dinner for the Cape Ann Shakespeare Troupe. Fogarty put together a menu comprised of spiced duck confit on pastry, grilled quail on mixed greens with wine verjus dressing, spit roasted venison with mulled wine sauce and fig tart in saffron cream. The idea was to create a meal inspired by food of 1600s, from the era of the bard himself.